All correspondence cited on this page can be found in the Jay McLean Papers at the National Library of Medicine. 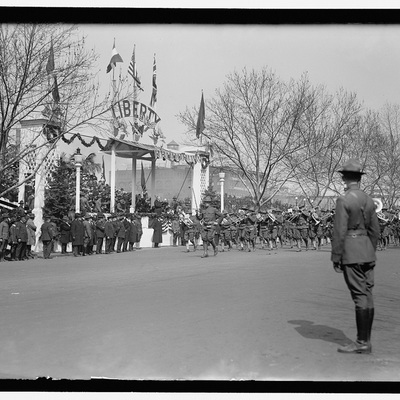 The context: American troops became a common sight in Baltimore during the war. Maryland provided approximately 50,000 troops, and most of them were from Baltimore. Baltimore was also close to the nation’s capital and surrounded by training camps. Well over 500,000 soldiers and uniformed personnel passed through the training facilities raised in places like Camp Meade, Fort McHenry and the Aberdeen Proving Ground in Edgewood. According to McLean, medical students and faculty also donned uniforms to display their enlistment in the reserves. The context: The term “hooverize” entered the American lexicon in 1917. It referred to the US Food Administration’s domestic programs to economize food consumption for America’s war abroad. The head of the Food Administration was Herbert Hoover. By 1917, much of the farmland of Western Europe had been turned to battlefields, farmers themselves became soldiers and Belgian citizens were still reeling from the invasion of German troops. In an effort to care for struggling Allies and nourish US soldiers overseas, Hoover asked citizens to cut back on meat, fat, sugar and wheat and to participate in things like Meatless Tuesdays and Wheatless Wednesdays. Hungry Hopkins medical students were no exception. The context: Hopkins medical students could be grateful that they were spared the draft and given time to complete their degrees. McLean certainly was. So were many of his peers. At the same time, it was hard to escape a sense of uselessness in the eyes of an army that preferred medical men with degrees and internships under their belts. McLean longed for the day when he could obtain his degree, so he could go abroad to Europe as a lieutenant and work in a field hospital. In lieu of full-time action, McLean got some satisfaction as an ambulance driver in France during his summer break in 1917. Thirty-two members of the class of 1918 served as enlisted men with the Johns Hopkins Base Hospital No. 18 in France. Acting as junior interns in the Hopkins Unit, the 4th year medical students received training from the officers, who were faculty at the School of Medicine. They were awarded their degrees and commissions as medical officers in April, 1918. 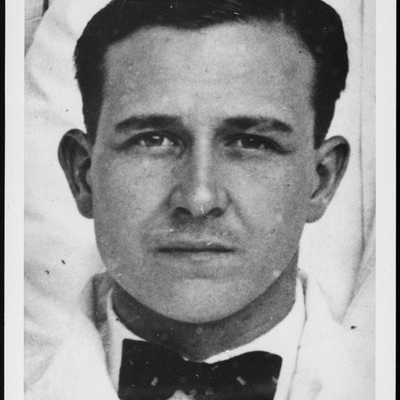 Two medical students, Edwin Linton and Lyle Rich, died in service. The context: In 1917 and 1918, the patriotically named Liberty Bonds were sold to the public by the US government to help finance the war effort. The money used to purchase a Liberty Bond would be repaid to the owner, plus interest, by the government in a specified number of years. As McLean himself witnessed, the government appealed to Americans through multiple means. Cities like Baltimore were sites for large propaganda posters, elaborate parades as well as public demonstrations of the weaponry and uniforms Americans would be financing.